NEW YORK—The dollar rose to fresh 2018 highs on May 7 while oil prices surged to their highest since late 2014, driven by declining Venezuelan crude production and worries the United States could re-impose sanctions on Iran. The euro broke below $1.19 for the first time this year on weaker-than-expected German industrial orders and declining eurozone investor sentiment. An index that tracks the dollar against a basket of leading currencies climbed to 92.974, its highest since December. The index was last up 0.18 percent at 92.729. The euro could slip to 117.50 or even 115 as a support level, Hatheway said, as the Federal Reserve tightens monetary policy and the European economy trends weaker, he said. The euro slid 0.27 percent to $1.1926, while the Japanese yen was little changed at 109.09 per dollar. Widespread expectations that President Donald Trump will withdraw from the Iranian nuclear pact also weighed on crude prices. U.S. crude rose 73 cents to $70.45 a barrel, while Brent gained $1.22 to $76.09. Nestle was the biggest contributor to the 0.61 percent advance in the pan-European FTSEurofirst 300 index of leading regional shares. Oil giants Royal Dutch Shell and Total also were among the biggest contributors. On Wall Street, the S&P energy index was the biggest gainer, rising more than 2 percent, among the 11 major sectors. 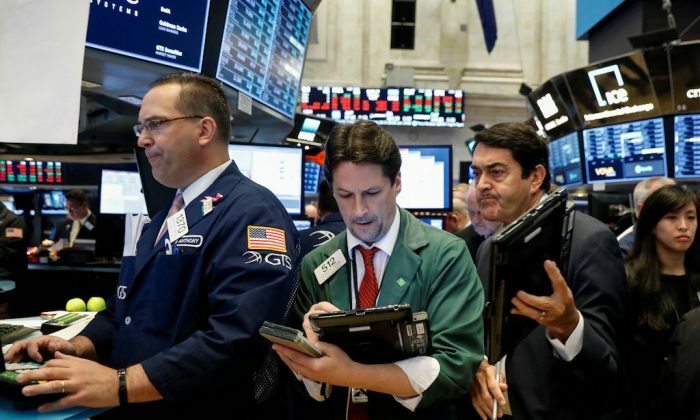 The Dow Jones Industrial Average rose 163.91 points, or 0.68 percent, to 24,426.42, the S&P 500 gained 13.78 points, or 0.52 percent, to 2,677.2 and the Nasdaq Composite added 65.01 points, or 0.9 percent, to 7,274.62. The yield on the benchmark 10-year German bund fell to 0.531 percent, while yields on U.S. benchmark 10-year Treasury notes rose to 2.9572 percent.